“The Star” An Animation film from Sony Pictures Animation released last year November 17 2017. 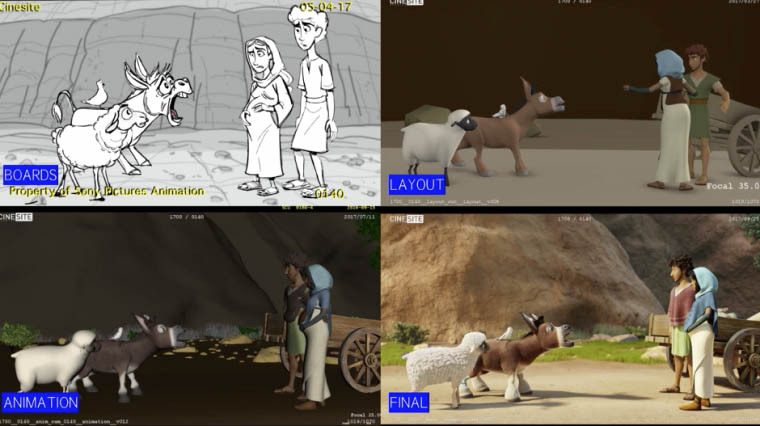 Cinesite & Sony Pictures Animation Worked on Animation for the movie, further the Studio released Animation Breakdown & Interview for the Animation flick. The movie was directed by Timothy Reckart. Cinesite team explain about challenges they faced when rigging and animating a lot of animal characters within a tight schedule and the first collaboration between Sony Pictures Animation and Cinesite.